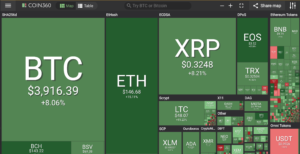 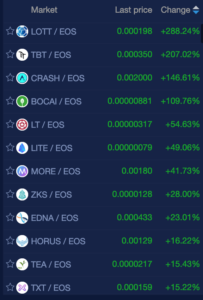 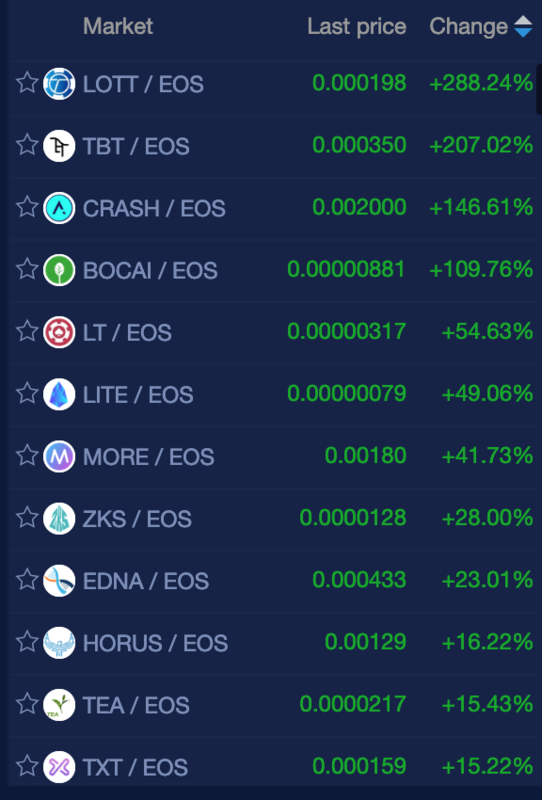 It’s a big Green Day for most of the cryptocurrency market including the larger caps: EOS (25%), ETH (15%), LTC (11%), BTC (8%), , XRP (8%), TRX (7%) on coin360.io. 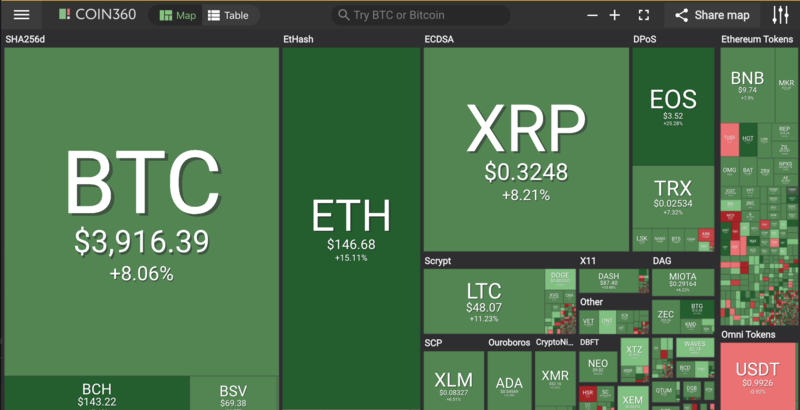 Bitcoin and the rest of the cryptocurrency market is in the green today. 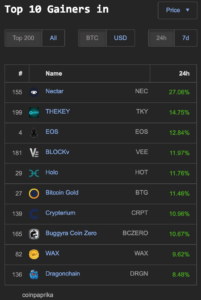 Coinpaprika.com is showing 8 coins coins with double digit gains within the last 24 hours in the top 200 market cap. 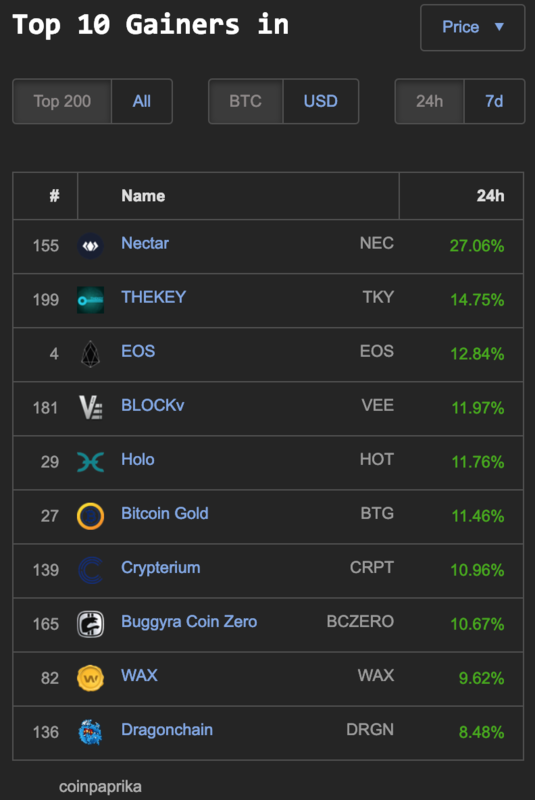 Nectar (NEC) 27%, THEKEY (TKY) 14%, EOS (12%), BLOCKv (VEE) 11%, HOLO (HOT) 11%, Bitcoin Gold (BTG) 11%, Crypterium (CRPT) 10% and Buggyra Coin Zero (BCZERO) 10%.